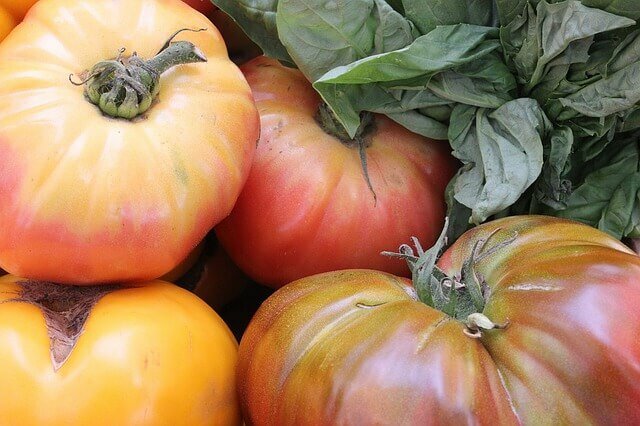 Heirloom tomatoes have become popular products in farmer’s markets and on restaurant menus. Their less-than-perfectly-round shapes and varied colors make them easily recognizable. In addition, their hearty tastes elevate a simple tomato sandwich or a salad to new levels of delight. The succulence of these old-fashioned tomatoes piqued my interest in growing other heirloom vegetables. 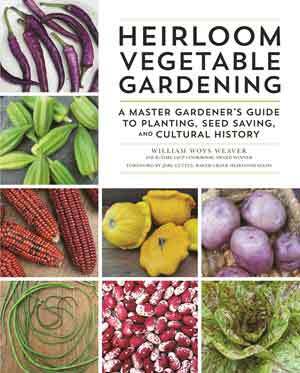 If like me you are curious about the varieties of heirloom plants available, I recommend reading Heirloom Vegetable Gardening (Quarto Publishing, 2018) by William Woys Weaver before you plant next year’s garden. This book provides a “guide to planting, seed saving and cultural history” to many original American vegetables. Although Weaver is not well-known as a garden writer, he is recognized as a culinary author who has won four Julia Child Cookbook Awards. His inclusion of historic recipes with some of the plants hints at this background, but this book primarily reflects his long fascination with heirloom vegetables. His own heirloom seeds are available through the Baker Creek Heirloom Seed website under the name Roughwood Seed Collection. In the first chapters of this book, Weaver explains the history of vegetable gardening and seed collection. Here he notes that the United States has an unusually diverse mixture of heirloom seeds due to introductions from Native Americans and Afro-Americans, Asians, and European immigrants. Weaver notes that seeds now considered heirlooms either survived the Civil War years or were developed during the following urban population migrations of the Industrial Revolution. This created farming for profit which, in turn, produced a need for more vegetables. Only the most productive vegetables’ seeds were therefore retained. The vegetables Weaver identifies as the best for the “average” gardener and “small” gardens are arranged in alphabetical order. Weaver introduces each type of vegetable with histories of the seed’s source and often, its multiple unusual names. In these discussions, Weaver includes each plant’s hardiness zones, maturation time, plant size, and normal yield. 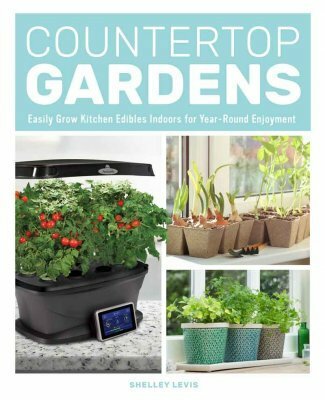 If you are so inspired by the photographs in Weaver’s book of gorgeous vegetables that you literally can’’t wait until spring to plant something, Countertop Gardens (Quarto Publishing, 2018) by Shelly Lewis will help by offering multiple options for indoor gardening. To assist new inside gardeners, she explains the differences in containers, growing mediums, seed versus transplants, fertilizers and lighting requirements. Lewis recommends which herbs, vegetables and garden greens will do best when planting indoors. As the manager of a garden store, Lewis is experienced in choosing products for all aspects of indoor gardening. She passes this information on to readers by listing her best choices of equipment and their sources. Also, DIY enthusiasts will enjoy a chapter devoted to building indoor gardening devices. For me, the prospect of growing small crops at any time is intriguing, but planting heirloom vegetables such as Lazy Wife Bean, Cheese Pumpkin or Elephant Nose Pepper will definitely add a fun diversity to my garden.